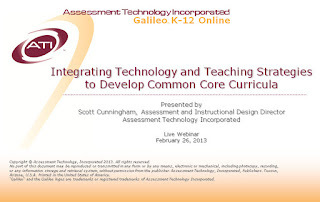 If you missed ATI’s February 26 webinar on how Galileo K-12 Online can help incorporate Common Core State Standards for assessment and intervention - don’t fret. The webinar was recorded and available at the following link. Thanks to the success of the webinar, additional webinars will be promoted over the next couple of months. 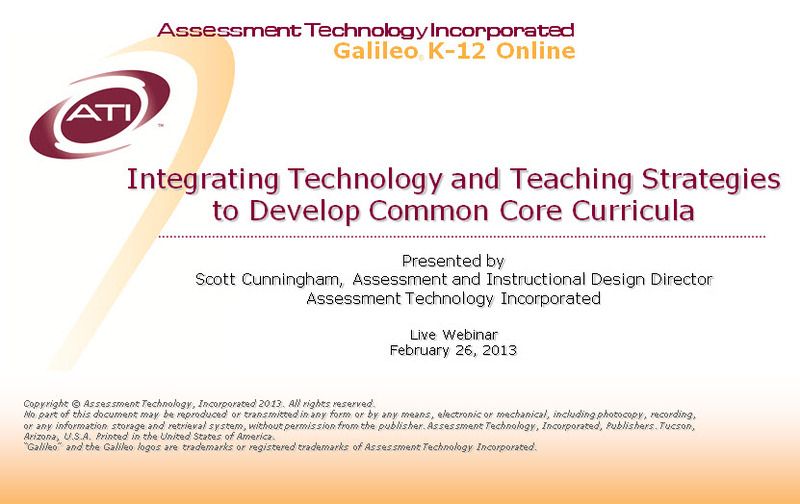 Be sure to watch for an email from ATI with more information. Click here to access all current events, seminars, and webinars. Contact your ATI Field Services Coordinator at 877.442.5453 for more information. It can also be found on the ATI website.